I have 2 Snowshoe siamese kittens for sale very beautiful. they will be ready 22nd November. i will only sell to good family homes only. will be house trained before I let them both go... I can send more pictures on requests as they was born ALL white with their colour coming in slowly and full colour isn..t reached until they are around 3 years old as you can see on mum and dad So. most of the pictures you will see. especially of the kittens. will be of a mostly white except for the points .ears. nose. paws and of course the tail.. which will start to have colour in time. Will also give you time to sort out bedding food and toys for there forever loving homes.. thank you. 200 each .BOTH SOLD PENDING COLLECTION. 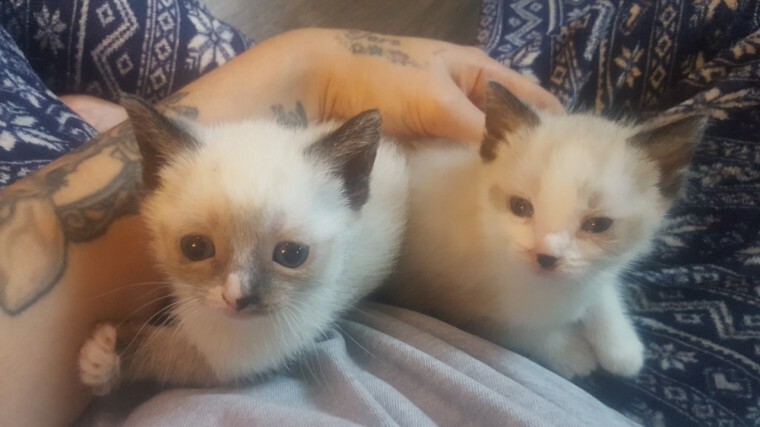 Beautiful Blue Eyed Snowshoe Kittens.